Transifex is a cloud-based localization platform built to help you manage the translation and localization of your app, website, video subtitles, and more. It acts as a repository for your content (think GitHub for translation) and includes tools for developers to get that content into Transifex automatically. Transifex also provides translators a web interface to submit translations. Crowdin is a localization management platform with all the features you need for agile localization. Get your app, game, web app, software and on fast and seamlessly translated into more than 300 languages. OneSky provides a powerful cloud-based translation management system (TMS) that streamlines the entire translation management process for mobile apps, websites and documents. OneSky offers professional translation services and application testing solutions in 60+ languages. Over 3,000 companies have used OneSky to expand their global presence. Why do developers choose Transifex? Why do you like Transifex? Why do developers choose Crowdin? Why do you like Crowdin? Why do developers choose OneSky? 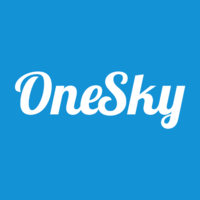 Why do you like OneSky? What are the cons of using Transifex? What are the cons of using Crowdin? What are the cons of using OneSky? How much does Transifex cost? How much does Crowdin cost? How much does OneSky cost? What tools integrate with Transifex? What tools integrate with Crowdin? What are some alternatives to Transifex, Crowdin, and OneSky? PhraseApp - Translate your software better. Translation Service for Apps on Android and iOS.